Thursday already? Robin here with my inspiration of the week for Dies R Us. 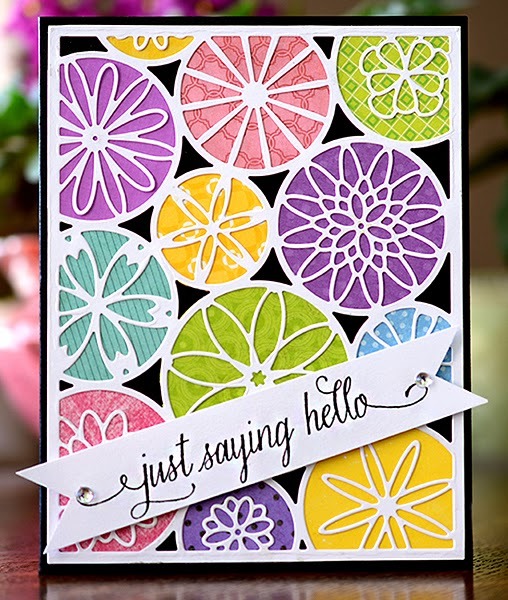 The die I used, called Mod Flower Background, is made by Poppystamps. This die caught my eye because of it's many uses, it makes a fast and simple card AND you could use the die cut as a stencil! The sentiment is from Hero Arts is stamped on a homemade banner; the addition of Gem embellishments, from Hero Arts, adds a bit of sparkle. 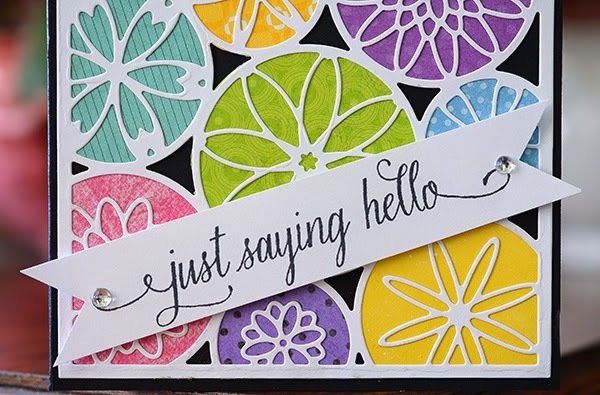 Robin, gorgeous card, beautiful colours! WOW! Quick, Easy, Colorful and FABULOUS! Great job Robin! I love this card, Robin! Adore the color choices! Also adore the background die! It makes a great card! !